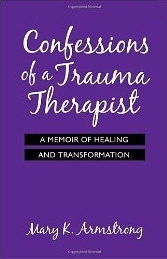 "Trauma therapist Mary K. Armstrong embarks on an illuminating journey into her own secret past and emerges with a renewed sense of personal authenticity and joy in helping others." "A brilliant, heartbreaking, and inspiring account of a child's tragedy and a woman's persistent growth toward light, knowledge, truth, and strength. Never has the human spirit shone through more passionately."